The world's most narcissistic wedding trend has arrived. The world's most narcissistic wedding trend has arrived. And it takes the (overpriced wedding) cake. Video, video on the wall, who’s the most narcissistic of them all? It could reasonably be expected that we had already come up with every kind of ridiculous wedding trend conceivable. From bridal bikinis and wedding jumpsuits, to ‘you’re not invited’ cards, social media concierges, guests paying for their meal and the silent bridal shower. Introducing the same-day wedding video. Love isn’t love without a veil dance. Thanks to this miraculous invention, not only can you force people to suffer through your wedding video long after the wedding, you can now also make guests suffer through it at the wedding. Yep, AT THE ACTUAL WEDDING. Despite the fact that they just witnessed the holy matrimony and are still, in fact, present at the wedding, they can relive those special moments of just a few minutes ago. Yep, they really did it. Having all eyes on you not enough? Give the audience a detailed insight into how you got ready that morning. Can’t be bothered organising reception entertainment? 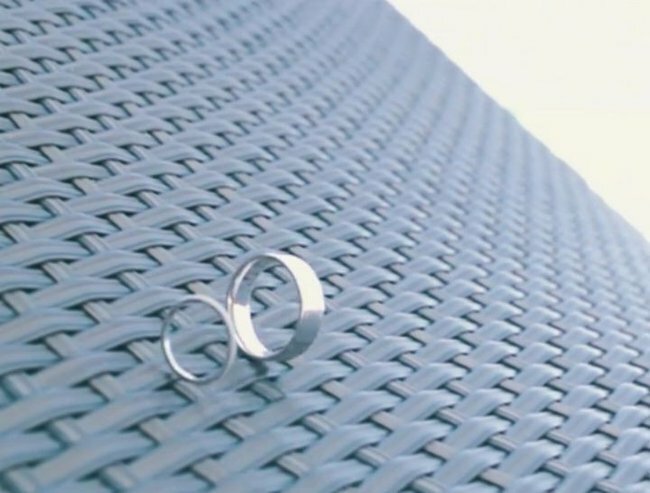 Why not put footage of your wedding rings rolling around a flat surface on loop. Apparently the same-day edit is a big trend “all over the world”. Whoever’s ring loses the race has to pay for the wedding. “Same day edit wedding videos are wedding videos that are edited same day as the wedding and played during the reception,” according to the Huffington Post. The truth is nobody wants to see your wedding video. Ever. Let alone while the big event is still in progress. 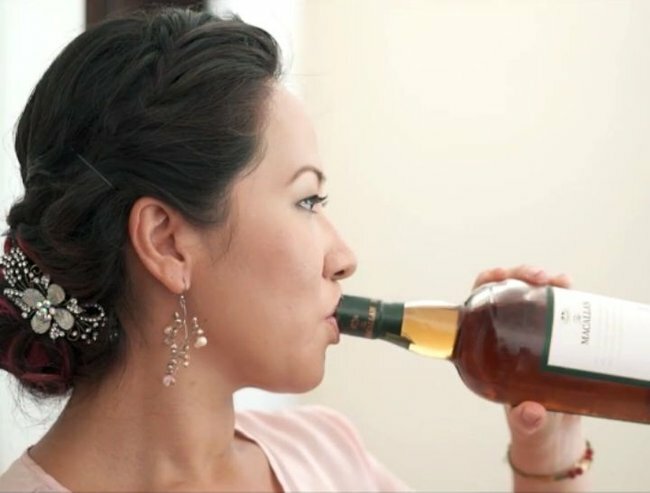 This bridesmaid has the right idea.